Welcome to 136 Timber Lake. Is it your dream to own a magnificent home with water views? Here is your chance! 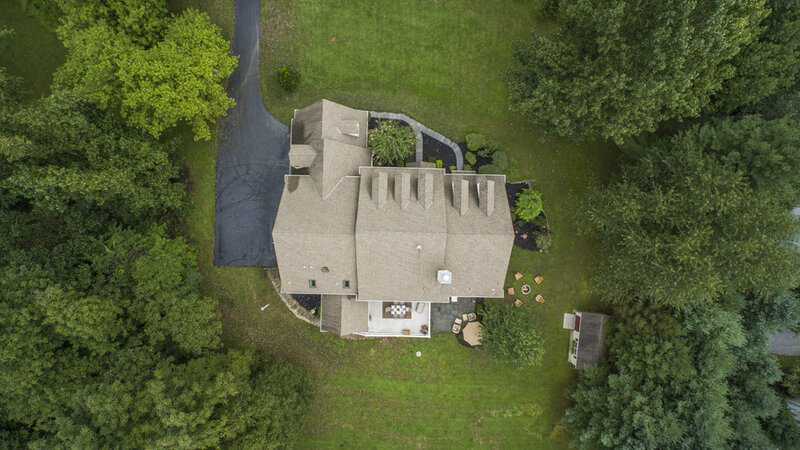 This exceptional property Hidden Haven, is one of the best lots on Springton Lake. Boasting abundant light, graceful rooms, a layout conducive to entertaining and multigenerational living, with finishes of the finest quality. This grand 7 bedroom beauty with 6.5 baths, sits on a rare 1.56 acres of water view grounds. 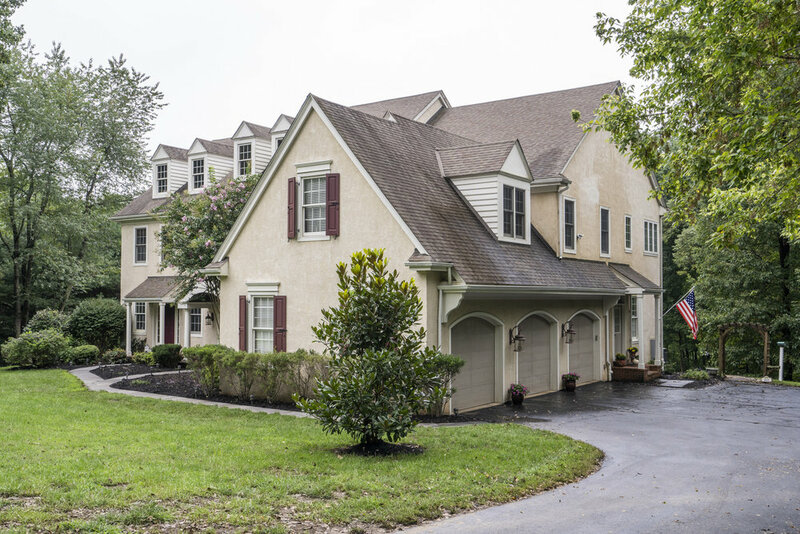 Enter the home from the expansive circular drive & stone walkway into the dramatic two story foyer. Flanking the front foyer are open views of the formal dining room and the great room, each enhanced with extensive mill-work and hardwood floors. 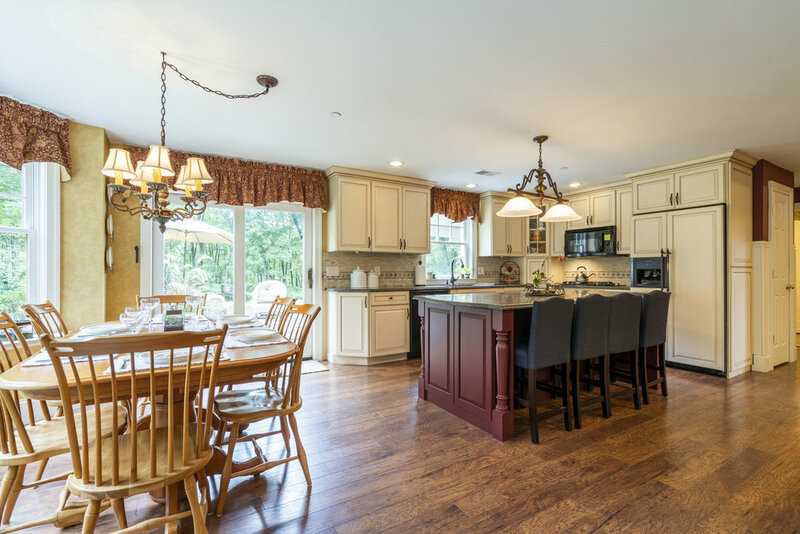 Follow the hardwoods through to the great room, this is a wonderful open space with entertaining areas, kitchen and dining area. With floor to ceiling windows throughout to capture views of the water, sky and trees. Here you will find a large gourmet kitchen with custom cabinets, granite counters, large island w/seating, 5 burner range, double wall ovens, double built-in frig and freezer, custom tile back-splash, and more! Adjacent to the kitchen is the breakfast room/sunroom with vaulted ceiling and French door to large trek-deck over looking this splendid property. 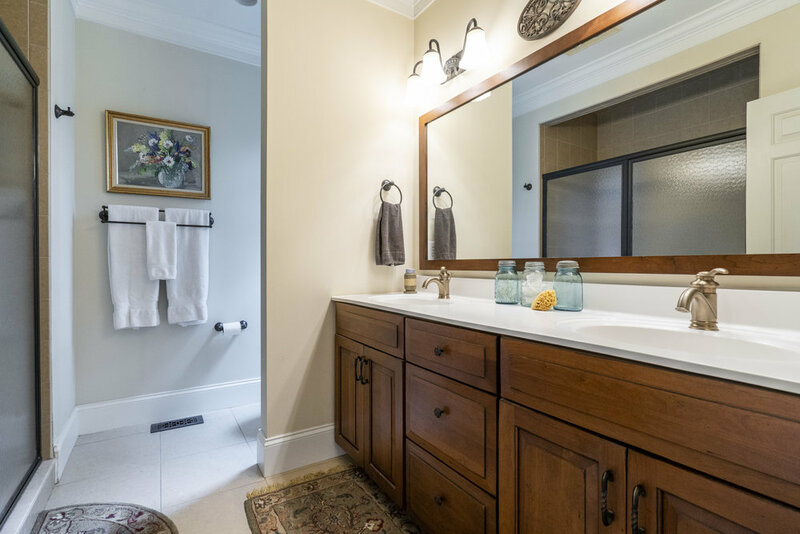 Up the main staircase to the second floor you will find double doors to the large master suite, with walk-in closet and luxurious en-suite bath with glass shower, jetted tub, double vanities, water closet, and dressing area. 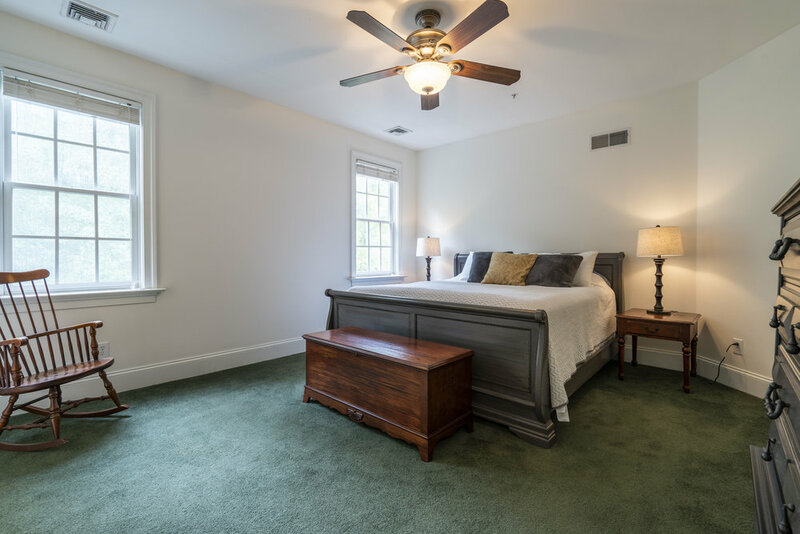 Four additional spacious bedrooms, two with tiled en-suite baths and two with a large "jack and jill" bath with custom cabinets and double vanity. Also a large second floor office/studio, second laundry room and storage. Completing the first floor you will find the mudroom, main floor laundry room, powder room and entrance to the 3 car garage. But wait there's much more! This property is very unique in its custom set-up, it's like having two full houses in one. 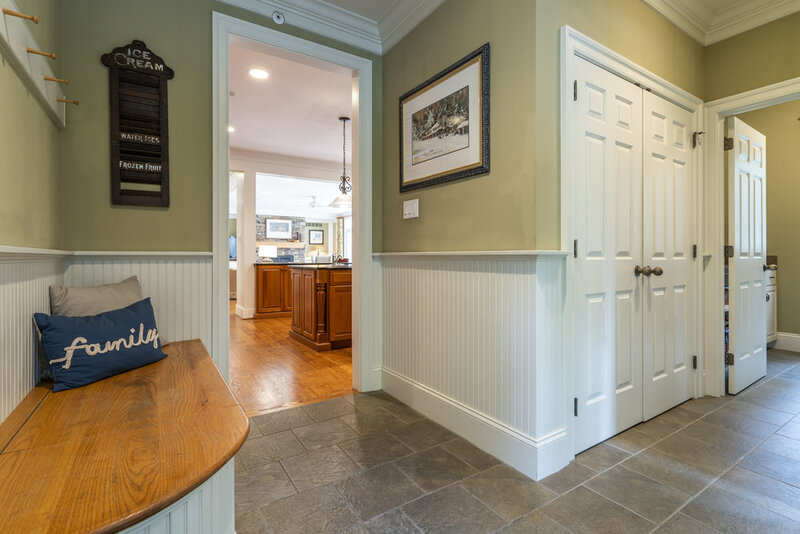 On the main level there is a second entryway with separate foyer and hall to the first floor, large master bedroom suite with double walk-in closet, dressing area and en-suite master bath. From the foyer take the second staircase to the amazing lower level that is a whole second house complete with high ceilings, living room with French door to slate patio, full chef's kitchen with island, a sunlit dining room, large great room with custom fireplace and built-ins, large bedroom with bath, a private office, mudroom, workshop and tons of storage. Besides the amount of interior space in this large home..its got to be the spectacular views of the beautiful lake. When you come down the street you don't even know those house are back there bordering the lake.